Telugu actor Akkineni Nagarjuna feels he can’t typecast himself and must “exploit” various commercial angles to “cater to the masses”. He admits revisitng romance genre with “Greekuveerudu” was a “conscious decision”. “As an actor with a star status, I can’t restrict myself to one type of films and roles. Once in a while I need to go out of my way to do different films, to exploit all commercial angles to cater to the masses,” Nagarjuna told IANS. In the recent past, Nagarjuna has played roles such as the Sai Baba in “Shirdi Sai”, an army major in “Gaganam”, a freedom fighter in “Rajanna” and an evil-fighting hero in socio-fantasy “Damarukam”. “A film like ‘Shirdi Sai’ caters to the family audiences, while ‘Rajanna’ evokes patriotic sense in viewers. ‘Damarukam’ on the other hand is a full-length commercial film made for the masses,” he added. He returns as a suave lover in forthcoming romantic-comedy “Greekuveerudu”, releasing worldwide Friday. “It was a conscious decision to return to the romance genre after a long hiatus. Some of my memorable films belong to the genre. Since I haven’t worked in a romance flick for nearly a decade, I thought this was the perfect time to do it. It will be a cool movie for this hot summer,” said Nagarjuna, who has teamed up with director Dasaradh after over a decade for “Greekuveerudu”. Dasaradh and Nagarjuna’s last film was Telugu blockbuster “Santosham”, a romantic movie that came out in 2002. “Dasaradh is a very comfortable director to work with and he has been a champion in churning out highly successful family and romantic entertainers. We are extremely confident of the film’s (‘Greekuveerudu’) success,” he added. 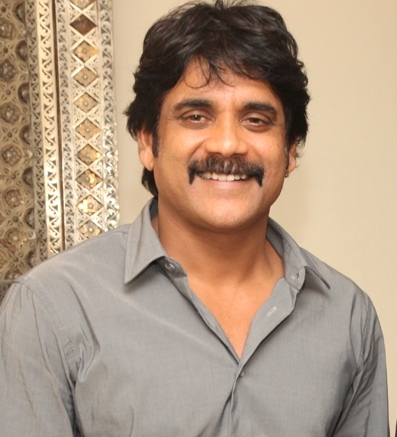 Fondly called Nag, the actor has also been constantly sporting different looks. “Style has become a crucial differentiating factor for most actors in the industry. I generally choose my look based on the character I essay. I research a lot on the internet and pick something that would suit my face,” he said. While he sported a grey beard to play Shirdi Sai Baba, he grew his hair for his roles in “Rajanna” and “Damarukam”. In “Greekuveerudu”, Nag sports a spiked look with beard a la Robert Downey Jr. in “Iron Man 3”. “I did take reference from the looks of Robert Downey, Orlando Bloom and many other Hollywood actors. My look was more or less a mix and match of several looks from the internet. But, eventually I chose a look that suited my face and the character I play,” he added. Produced by D. Siva Prasad Reddy, “Greekuveerudu” also features Nayantara, Meera Chopra, K. Vishwanath, Brahmanadam, M.S Narayana, Sarath Babu, Ali and Venu Madhav. Meanwhile Nag is busy wrapping up action-drama “Bhai”, and will soon feature in a film titled “Manam” alongside his father Akkineni Nageswara Rao and son Akkineni Naga Chaitanya. “Once I finish ‘Bhai’, I will take a small break and begin work on ‘Manam’ post summer. It’s an exciting project where I will share screen space with my father and son,” he added.